And for fifth place we have one of my favorites – What is a Flat Iron Steak? Next in line is something a little lighter – Chicken & Spinach Enchiladas. Delicious! I love vegetables – cooked any way. These Roasted Veggies had a lot of visits this past year! How about some easy and delicious tacos? These Chile-Lime Pork Tacos were a real hit! Do you like to camp? We do – but no hot dogs and beans for us. And it looks like a lot of other people were interested in this Camp Steak! And finally, right out of the slow cooker – Crock Pot Taco Casserole! 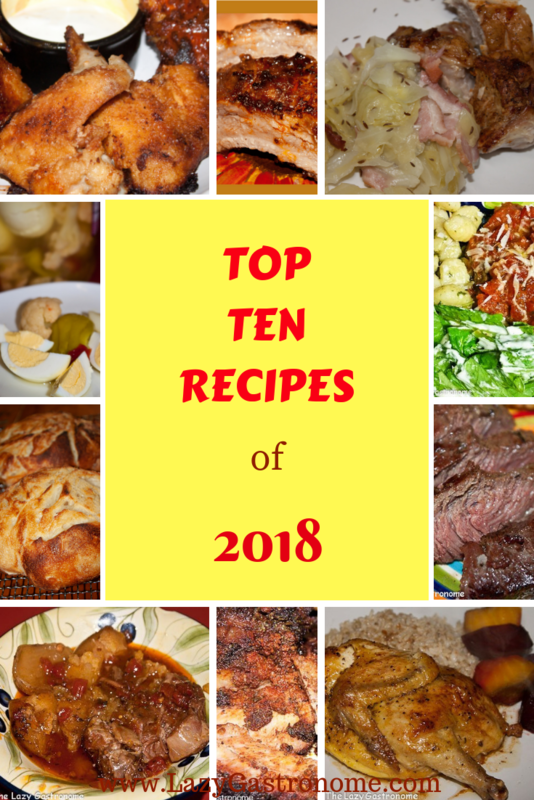 This entry was posted in Beef, Casseroles, Chicken, Fruits and Vegetables, Main dish, Main dish, Mexican, Side Dishes, Soup, Vegetables and tagged 2017, beef, chicken, collection, crock pot, main dish, pork, recipes, side dish, slow cooker, soup, summer, top ten. Bookmark the permalink. What a great year of recipes! Im so glad that I have gotten to connect with you here and look forward to more this year. Happy New Years! The feeling is mutual Patrick – I love reading your recipes and following your blog. Thanks for stopping by – and here’s wishing you an amazing year to come! Those all sound so yummy! We just had tacos last night but I am intrigued with the idea of a taco casserole. Thanks Marci – glad you stopped by and hope you like the tacos! Mmm … Southwestern Pinto Bean Soup — somehow I missed that before, so I’m glad to see it listed here. Heading over to check it out now. Wishing you a wonderful 2018. Thanks Jean – glad you stopped by!